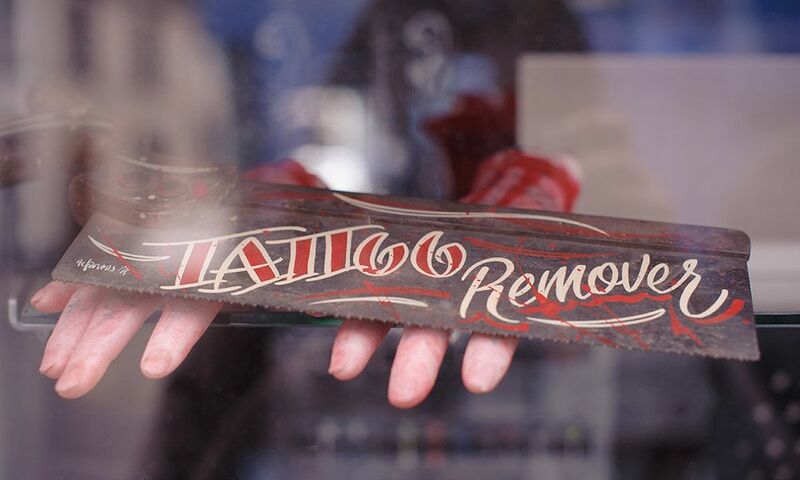 What is the cost of tattoo removal? The answer to this is going to vary from person to person. Also from tattoo to tattoo. So the cost of tattoo removal can be tricky. They are not created equal. There are alot of different factors that determine the ease or difficulty in removing a tattoo. The cost of tattoo removal will also depend on how much ink is in your tattoo. How well the piece was done. And how healthy an immune system you have. Here in Las Vegas there are a large number of Dermatology and Plastic Surgery Centers that also offer tattoo removal. They also are much pricier than the Tattoo Removal shops in town. These are usually higer end surgical and laser centers. Operated by Plastic Surgeons and Dermatologists. The cost of tattoo removal will vary from place to place. As well as from city to city. If you are in mid town Manhattan you will pay alot more than a less expensive city. As is with everything. Oh well. Manhattan averages about 50$ per inch. Yes that means a name or small writing would be about $200 per treatment . Coupons and Groupons and Scams oh my! The final and least recomended type of establishment I am going to talk about are the seriously crazy Groupon shops. This type of shop offers a revolving door of coupons and multi purchase deep deals. It would be hard for anyone to not take advantage of thiese amazing prices. Typically you are asked to pay for a set number of sessions with the guarantee that they will come out 100% in those treatments. Now trust me in this fact. You can only provide a client with an “educated guess” but you can in no way see into the future. Unfortunatly this typically leads to frustration in the end.